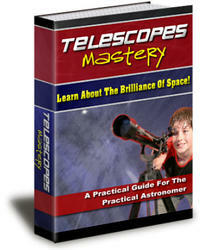 Jupsat Pro Astronomy Software is a professionally made product. Professionally done by acknowledged experts in this area of expertise. These ultra-performance receiving preamplifiers are suitable to the most demanding needs where low noise figure is important. Uses include all types of weak signal work such as EME, Tropo & ionosphere Scatter, Satelfite Communications, Radio Astronomy, Meteor Scatter, etc. Radio amateurs have been successfully bouncing VHF, UHF and microwave signals off the surface of the moon, and receiving their echoes, for nearly forty years. EME (Earth-moon-Earth) activities have enhanced the teaching of disciplines as diverse as electronics, astronomy, and physics, with several generations of students having now used measured echoes to determine the distance to, and orbital parameters of, the moon. Penn College students have recently had an opportunity to apply these measurements on a truly grand scale, using EME signals to measure the mass of the Earth. Their results differ from the currently accepted figure by about one percent. 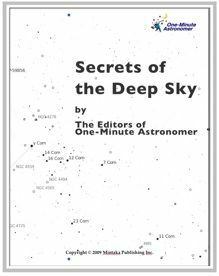 Any astronomy textbook will reveal multiple measurement errors for each of the intermediate values which we used to estimate the mass of the Earth. For example, the actual period of the lunar orbit is about two percent less than we estimated through our rather crude calendar technique. The lunar radius is in fact nearly four percent greater than we estimated through visual observation and simple trigonometry. And the radius of the moon's orbit turns out to be about a percent and a half less than we calculated from our echo measurements. Christian Doppler was born into a family that had built a successful stonemasonry business for 125 years, but his health was always too bad for that arduous occupation. Aftfir studying mathematics and astronomy at two institutes in Vienna, he sought a career as a professor. Despite being quite ambitious and having already published four papers in mathematics, he was turned down for several positions. There was no way to measure tiny shifts in apparent color from stars in those days, so Doppler couldn't directly prove his hypothesis by experiment. Most astronomers pooh-poohed it. Six years later, Doppler set astronomy aside and took on a new scientific interest, studying the Earth's magnetic field as a teacher at the Academy of Mines in Slovakia, His publication topics included changes in Earth's magnetic declination, another subject of interest to hams who are mobile T-hunters. INCREASING USE OF THE 2-GHz bands for long-haul communications and for satellite tracking and telemetry, coupled with the growth of navigational systems, radio astronomy and meteorology in the 1 to 2 GHz band, has intensified the need for precision test instrumentation for this range of frequencies. At the same time there is increasing use of phase modulation (< > M) in communications, telemetry, and navigation systems, so phase-modulated signal generators are needed for testing these systems. When students at all grade levels arc asked today what pan of the curriculum offered hy schools interests them most, astronomy and space science arc high on their lists. As director of a public school planetarium for the past 20 years, I have seen thousands of students thrill to the sight of the night sky and to the spacecraft, such as Voyager and Viking, that have probed through the blackness of space to the planets of our Solar System, Students often ask me how these spacecraft yet where they are going, and how the information they gather is sent back to waiting scientists on Earth. The also w ant to know how communication satellites work, and how some of those birds can just hant there in the sky. Such noise is basically due to the statistical unpredictability of energy-level changes within the individual atoms which go to make up the universe, and because of this is always present. In amateur practice, it is generally characterized by its apparent origin. Thus we have, for example, antenna noise which is present with the signal when it arrives from the antenna. This is, in turn, composed of galactic noise which arrives from outer space, atmospheric noise which originates within our own atmosphere and ionosphere, and thermal noise which originates within the conductors of the antenna and feedline (as well as within the components of the amplifier's first rf amplifier stage). Noise of this sort is always proportional to temperature the higher the temperature, the greater the noise voltage. In fact, in radio astronomy noise levels are measured in degrees Kelvin which are a measure of the temperature of the apparent noise source. Fred Moore, W3WZU, broadcast engineer, 4357 Buck field Terrace, Trevose, Pa. 19047. Novice transmitters and receivers, IIF and VHF antennas, VHF converters, receivers, AM, SSB, semiconductors, mobile, test equipment, general, product data, pulse techniques, radio astronomy* bio-medical electronics. M ICROWAVE signal sources of high frequency-stability and spectral purity are increasingly important to many fit-ids. These include doppler systems, nuclear spectroscopy measurements, spectrum analyzers, as well as telemetry, radio astronomy, and other communications-type work. All of these applications are characterized reduced typically by about 10 times. The synchronized klystron is thus useful as a local oscillator in the most sophisticated receivers such as dop-pler-tracking receivers, telemetry or radio-astronomy receivers, or as a pump in receivers employing masers as low-noise input amplifiers. The arrangement also permits greater latitude in the selection of a klystron, since more emphasis can be placed on achieving other characteristics such as power output, environmental tolerance, tuning characteristics and reliability. Over the course of the iast seven years packet radio has developed into amateur radio's fastest growing mode. The computer hackers love itt some operators find it useful for obtaining the latest information on a variety of subjects from ham radio to amateur astronomy, and other operators find that packet is no1 their cup of tea One thing stands incontestable, however Packet has become prevalent in virtually all aspects of our hobby. Visit any reasonably large city, tune around 144.91 145.09 MHz, and the sound of various packet networks will greet you. Tune the HF bands near the domain of what used 10 be our primary digital mode (RTTY), and agam the sound of 300 baud packet bursts will be heard, irtually all o- the new amateur satellites use packet as the communications medium Most importantly, packet has given the amateur community visibility and recognition by advancing the state of the art in digital communications. Daring the mid-1970's when the Voyager's were launched into space, the media was excited about information the craft would carry of planet Earth and its inhabitants. Should the probe be discovered by another deep-space civilization or land on an inhabited planet, these beings could learn about our solar system and the life it contains. 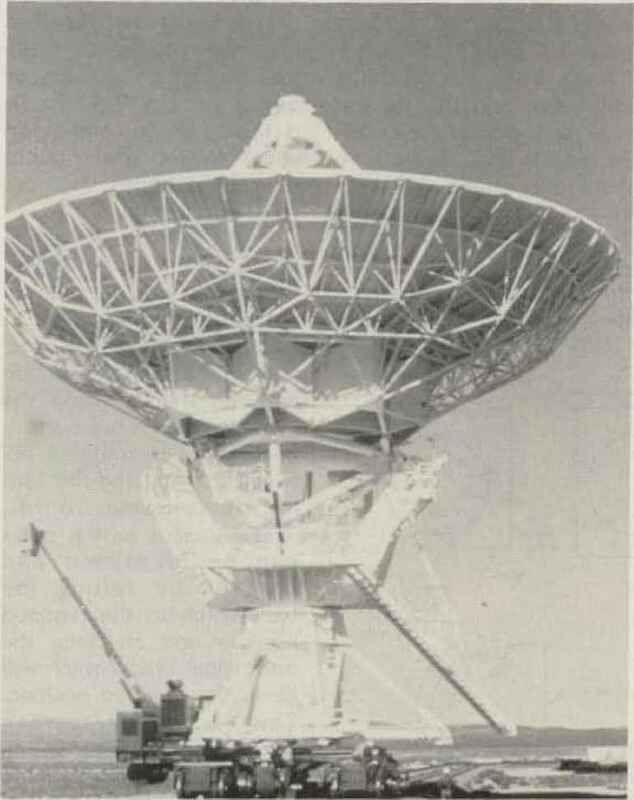 Since that time, radio astronomy and the search for extraterrestrial life became a serious matter for many professional and amateur scientists. These ultra-performance ANGLEtlNEAR receiving preamplifiers ere suitable to the most demanding needs where low noise figure is important. 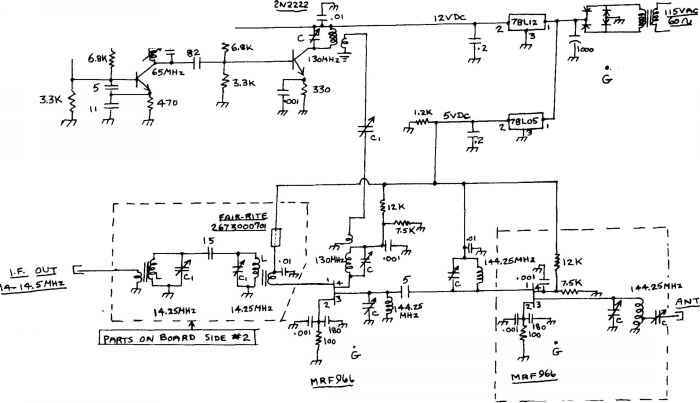 Amateur Radio. Commercial. NASA & Military users have lauded their superior performance. Uses include all types of weak signal work such as EWE. Traps 5 Ionospheric Scalier. Satellite Communications. Radio Astronomy, Meteor Scalier, etc. 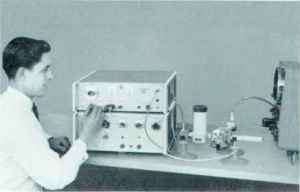 Fred Moore, W3WZU, broadcast engineer, 4357 Buckfield Terrace, Trevose, Pa. 19047, Novice transmitters and receivers, HF and VHF antennas, VHF converters, receivers, AM, SSB, semiconductors, mobile test equipment, genera , product data, pulse techniques, radio astronomy, bio-medical electronics. Fred Moore, W3WZU, broadcast engineer, 4357 Buckfield Terrace, Trevose, Pa. 19047. Novice transmitters and receivers, HF ant VHF antennas, VHF converters, receivers, AM, SSB, semiconductors, mobile, test equipment, general, product data, pulse techniques, radio astronomy, bio-medical electronics. 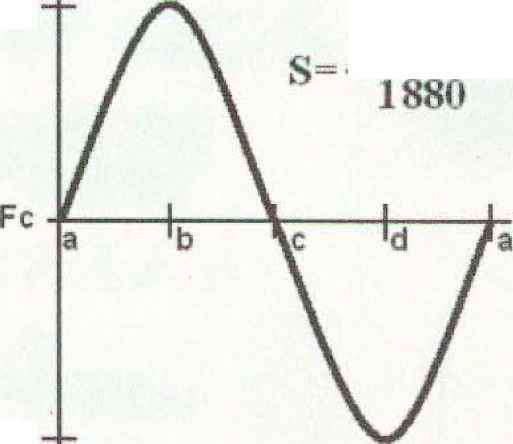 People having an interest in time and frequency standard signals (astronomy, piano tin ling, watch adjustment, event timing, etc.) will find tlie receiver ideal. Channel one brings in WWV on 2.5 MHz, channel two tunes CHU on 3335 kHz, channel four tunes WWV on 5 MHz, and channel three can be retuned to bring in CHU on 7335 kHz. At least one of these should be available at all times of the day or night. Last month's Homing In took you on a journey that started with Christian Doppler's birth almost exactly two ccnturies ago While trying to understand color changes in double stars, this astronomer physicist ivas the first to document the apparent frequency shift of waves when source and observer are in relative motion. All telemetry relates to the radio astronomy experiment. There is no housekeeping data. The information for decoding and processing the telemetry will be published soon. Then you will have an opportunity to analyze and correlate the downlink data and, perhaps, discover something new. SARA, albeit a simple satellite, may provide amateurs with a tool to make new discoveries in radio astronomy. AMSAT element bulletins contain sets for SARA. Fred Moore, W3WZU, broadcast engineer, 4357 Buckfield Terrace, Trevose, Pa. 19047. Novice transmitters and receivers, HF and VHF antennas, VHF converters, receivers, AM, SSB, semiconductors, mobile test equipment, general, product data, pulse techniques, radio astronomy, bio-medical eiec-tronics.